Installation of this extremely convenient firebox will immediately give your home the ambience of a fire without the construction of a vent system. 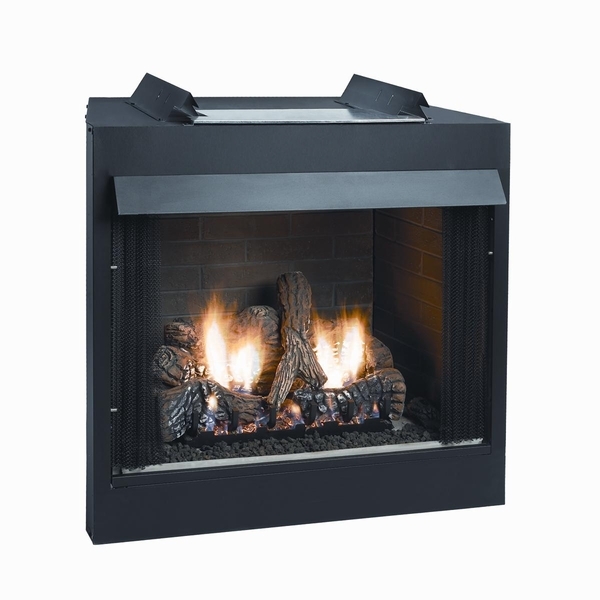 With a natural gas hookup and a gas log set (up to 30 inches), this firebox will provide excellent heating and a beautiful home decoration, with an included black hood ceramic liner that imitates the look of aged brick. The Empire company guarantees the quality of this 42 inch Breckenridge Premium firebox for five years.